Mix the chicken with all of the seasonings and the egg white. Mix it very well. 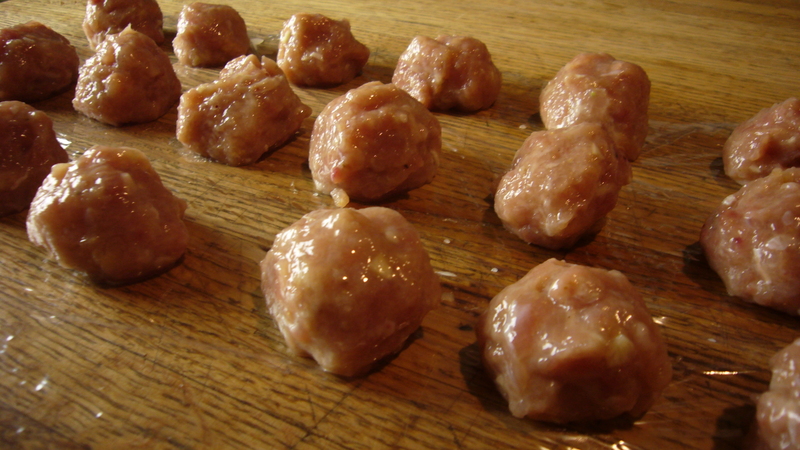 Form into balls about the size of large walnuts and set on waxed paper cling wrap or aluminum foil. Simmer in the chicken balls in the chicken soup for about 5 minutes. You can test one to make sure its ready.